Each year, we tend to review a new Passion recording shortly before Easter; inevitably, the field is dominated by Bach’s two mighty settings of the Crucifixion narrative, from the Gospels of St Matthew and St John. 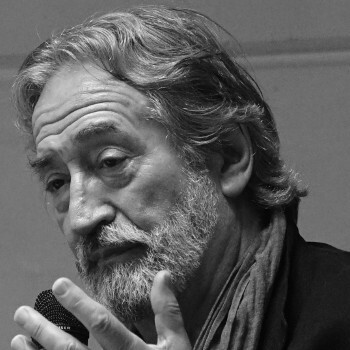 This year, though, we’re able to break that mould thanks to a new reconstruction of his lost St Mark Passion BWV247, recorded by the Catalan giant of early music Jordi Savall with his Capella Reial de Catalunya. It’s been known for some time that at least one lost Passion setting by Bach exists – the St Mark is the most well-attested of these, and scholarship aimed at resurrecting it received a big boost in 2009 when a copy of the libretto, by Bach’s long-time collaborator Picander (librettist for both the other Passions and numerous cantatas), was discovered in an archive in St Petersburg. Fortunately for its would-be reconstructors, this Passion was a pasticcio setting, re-using music Bach had already composed in other settings rather than consisting of completely new material. The Funeral Ode BWV198 contributed much of the material, including the arresting first movement Geh, Jesu, geh zu deiner Pein, while the well-known alto solo cantata Widerstehe doch der Stünde BWV54 is also believed to have been repurposed in the same way. Savall’s version proceeds along these lines, supplementing the gaps with material from Bach’s two surviving Passions – notably eschewing the recitatives written by Bach’s contemporary Reinhard Keiser for his own St Mark Passion, which are often pressed into service in reconstructions of Bach’s. The result is the first “all-Bach” version of BWV247, and one that actually has great similarity to the St Matthew. As we’ve come to expect from Jordi Savall and his musicians, the results of all this dense musicology are presented with freshness and pathos. The St Mark Passion lacks the extreme emotional peaks and depths of the St Matthew – a consequence, almost certainly, of its pasticcio genesis – but it is by no means pedestrian. The violent turba scenes are here, as vivid as in any other Passion, as well as a wonderful aria for soprano Marta Mathéu (Er kommt, er kommt, er ist vorhanden, another adaptation from BWV198) in which she desperately urges Jesus to flee the crowd that Judas has led to Gethsemane to arrest him. This is followed shortly by one of the highlights of the entire work – the opening aria from Widerstehe, here transposed up a third for soprano, and with a new text meditating on the treacherous kiss of Judas and the pernicious effects of the world’s affections. There’s also a tricky violin obbligato with more than a touch of Gebt mir meinen Jesum wieder, though here paired with soprano rather than bass as Mathéu sings of her paradoxical gratitude for the mob’s bloodthirsty screams, without which the whole act of redemption could not have been accomplished. I was also particularly taken with the chorus’s vivid enunciation of the derisive Germanic snort “Pfui!” as Jesus’ claims of imminent resurrection are mocked by the spectators. I’ll admit that I was holding out for a movement of sublime catharsis to close this Passion, as Bach provides in both the St John and the St Matthew. On the face of it, he appears not to deliver the goods; the closing chorus (again from BWV198) would surely have turned any of Bach’s contemporaries green with envy, but compared to Wir setzen uns or Ruht wohl it seems to lack a certain intensity. However, the way Picander rounds off the narrative proper is profoundly different here; the final meditation is far more optimistic than either the grave-lullaby in the St John or the outpouring of grief in the St Matthew. In this context, the relatively upbeat siciliano feel, punctuated with strikingly burly unison passages, does make a great deal of sense.